Last week, it was our immense pleasure to host Prof. Henning Struchtrup from University of Victoria (Canada). Henning stayed with us for the whole week sharing his recent research endeavours, stimulating discussions and wisdom. (d) dynamics and phase transitions in liquids. What actually transpired this workshop was a long, and very interesting discussion on the Reaserch Gate (the Facebook of us academicians) between Prof. Gorban, Dr. Lei Wu and others, myself included. We proposed to organise this workshop in order to facilitate such discussion in an ordinarily manner. 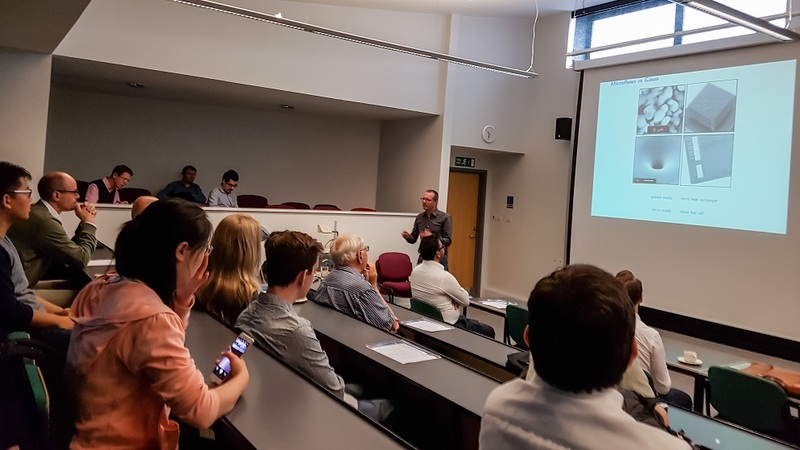 We saw eight talks during this workshop, including four talks from the members of MNF@Warwick about their current work. Prof David Emerson (Successes Using the Method of Moments for Rarefied Phenomena and its Future Development). We summed up the day with a dinner at The Queen & Castle (Kenilworth) in the company of the speakers.